One was a dairy farmer. Another aspired to be a pilot. One was an elder known for helping newcomers. Another was a teenager who called his mother when the shooting started. Elayyan was born in Kuwait and studied computer science at the University of Canterbury. He was the chief executive and a co-founder of LWA Solutions, a mobile app startup. 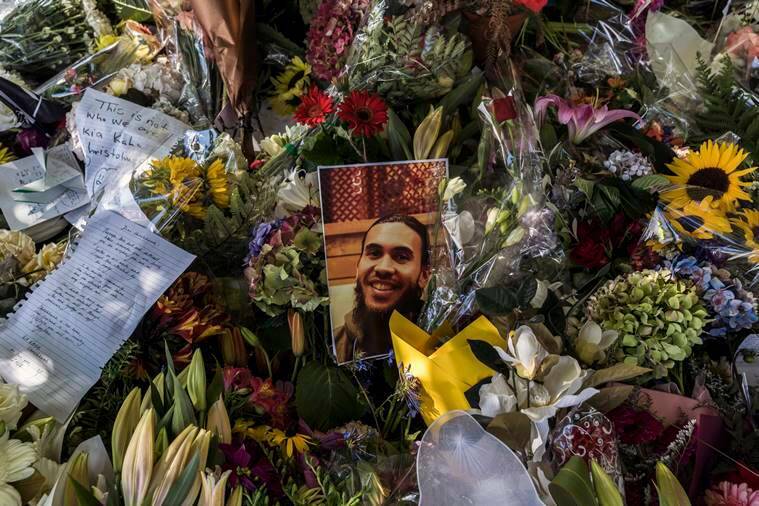 He was well known in the futsal world and in Christchurch’s tech community. 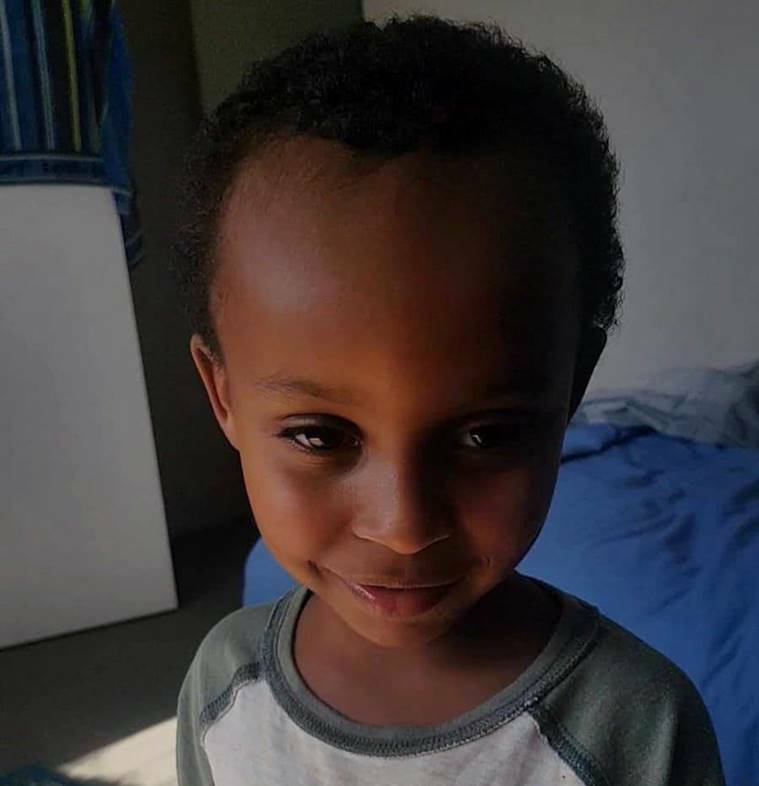 Mucad was wearing a white thobe and his favorite white hat Friday, “and so returned to His Lord in a state of pure innocence and spiritual beauty,” the family’s statement said. 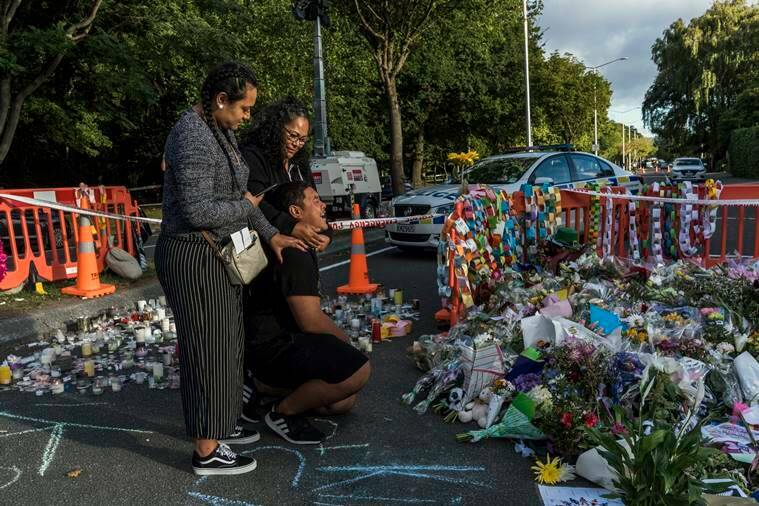 “I’ve lost my little boy; he’s just turned 14,” Sayyad Milne’s father, John Milne, told The New Zealand Herald through tears. Farhaj Ahsan, originally from Hyderabad, India, had lived for 10 years in New Zealand, where he worked as an electrical engineer. He left behind a wife and two children, according to his brother, Kashif Ahsan, who spoke to the BBC. Asif Vora was among five Indian nationals whose deaths were confirmed by the Indian High Commission in New Zealand. 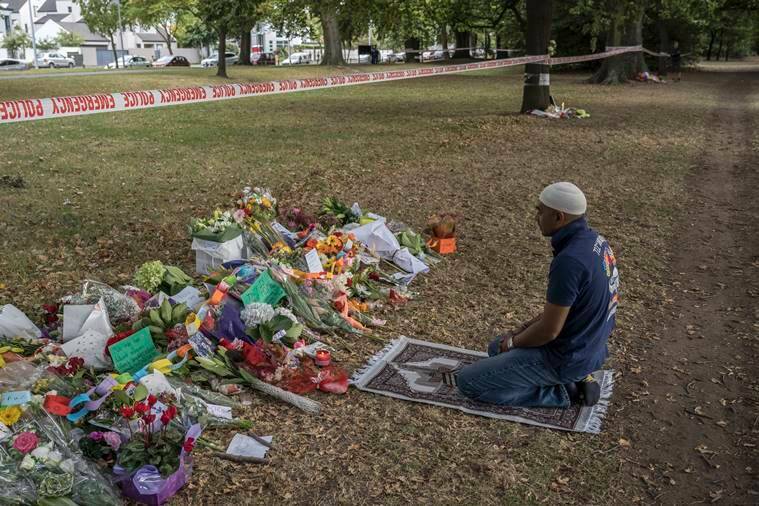 Radio New Zealand said that he was 58 and that he and his son had been killed at Al Noor mosque. 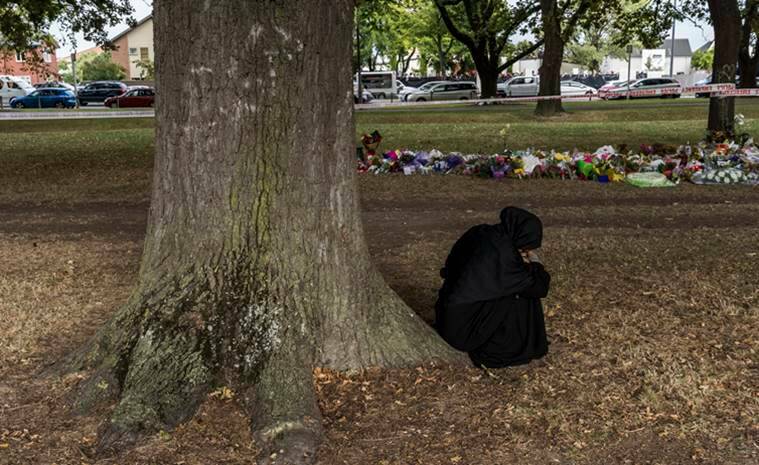 Nazer was near an emergency door at Al Noor mosque when the shooting began and managed to escape. Outside, he saw Alibava lying facedown and ran to her, but was stopped by a police officer. 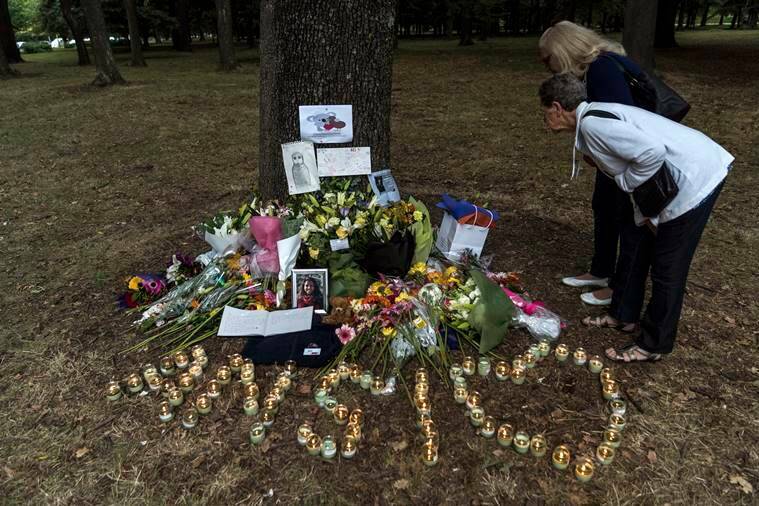 Messages of grief and support for Kadir’s family poured in on the Facebook page of the International Aviation Academy of New Zealand, where he was in pilot training. Fellow students gathered Monday to lay flowers at a makeshift memorial. His son was running 10 minutes late for Friday Prayers, along with his 8-year-old daughter, when they came upon a police cordon. The younger al-Nabi’s hands trembled as he held up his mobile phone to show a picture of his father with his daughter in the mosque on a different day. “I thought I’d make it to the prayers. When I got there, the police were there. I was running, and a guy said there was shooting in the mosque,” Yama al-Nabi said. He knew his father was inside, but news of his death only came hours later. Husna Ahmad, 47, led a number of women and children to safety after the shooting at Al Noor mosque began, said Farid Ahmad, her husband. Farid Ahmad, who is in a wheelchair, said she was killed when she returned to the mosque to check on him. “She was busy with saving lives, forgetting about herself,” said Ahmad, 59. Ahmad said he had forgiven the gunman and believed good would eventually come from the killing. “This is what Islam taught me,” he said. Rashid was in his 40s, according to Stuff and Radio New Zealand. 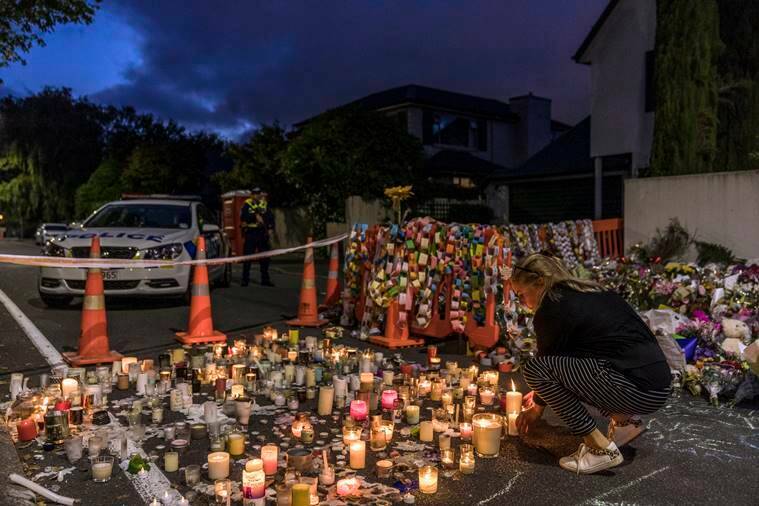 His brothers, interviewed in Pakistan, said he had left a senior position at Citibank in the city of Lahore in 2010 to pursue a doctorate in Christchurch and raise his children in a peaceful country. Starting over proved more difficult than he had expected. Talha Naeem, 21, had just graduated from college and entered the workforce. He was the eldest of Naeem Rashid’s three children — the second is 18, the youngest is 5 — and his father was especially proud of him, according to his family. The family had planned to return to Pakistan in May to help Naeem find a wife. 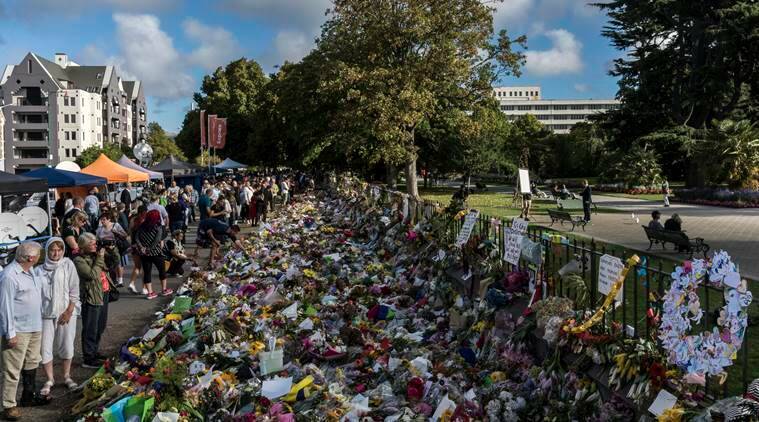 His wife, Hanan al-Adem, told Radio New Zealand she still could not believe he was gone. “He was the perfect man; it’s a big loss,” she said. “He was caring; he was honest; he was a loving person,” his brother said. Lateef Alabi, a leader at the Linwood mosque, told The New York Times that Armstrong had been among the victims there. 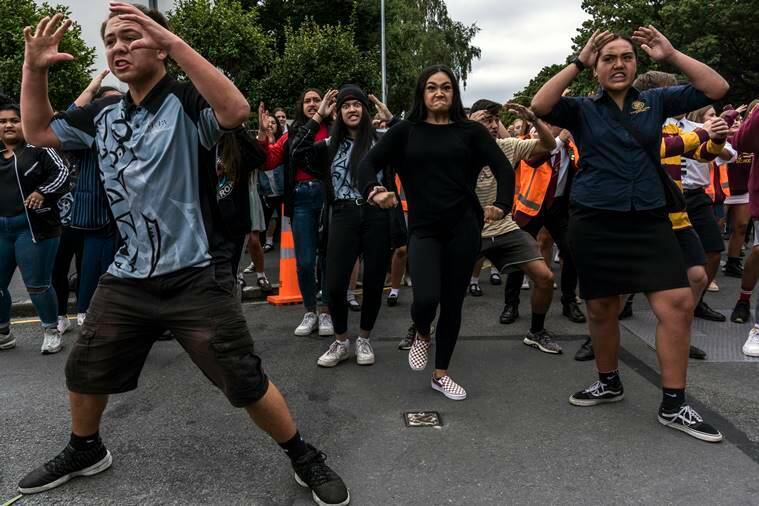 Radio New Zealand said that the Mustafas were originally from war-ravaged Syria and that they had moved to New Zealand from Jordan last year. Hamza’s 13-year-old brother Zaed was wounded. “Our lives have completely changed,” Salwa Mustafa told Stuff. Abdelfattah Qasem, a 60-year-old Palestinian, worked in Kuwait for much of his life, Stuff reported. He moved to New Zealand with his family in the early 1990s, after the first Gulf War. 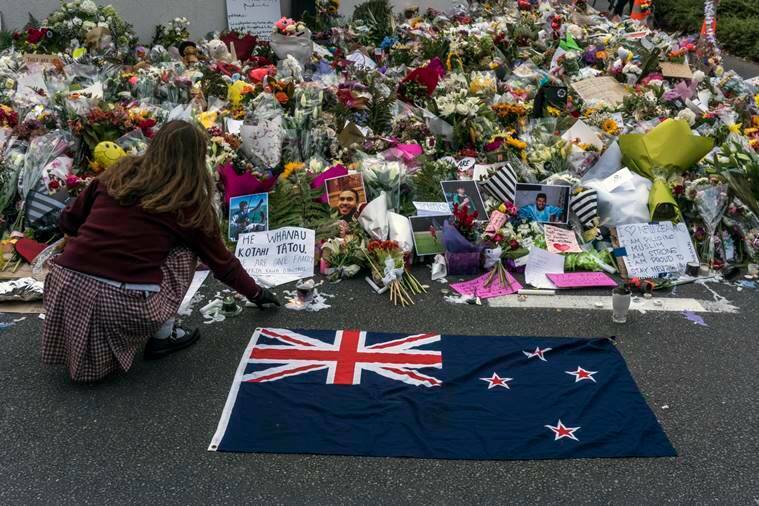 A relative told Stuff that Qasem was “like an elder for the community,” known for helping newcomers to Christchurch. He had three daughters and was about to become a grandfather. Hussein Moustafa, 70, was originally from Egypt, according to Stuff. “He loved the mosque, he loved tidying it, he loved nourishing it, and he was always a welcoming face there,” his daughter-in-law, Nada Tawfeek, told the news site. Raza’s father, Ghulam Hussain, was in his 60s, Stuff reported. He and his wife, Karam Bibi, came to New Zealand last month to visit their son. Bibi was also in her 60s, according to Stuff. She and Hussain are survived by a daughter. Zakaria Bhuiya was a welder originally from Bangladesh. He had recently married a woman from his home country and was waiting for a visa so she could join him in New Zealand, according to Reuters. Bhuiya worked for AMT Mechanical Services, which said in a statement that he had taken the day off to celebrate his 33rd birthday at the mosque. “Zakaria was a respected member of our team and a dear friend of ours,” the company said in a statement posted on a fundraising page for Bhuiya’s wife.